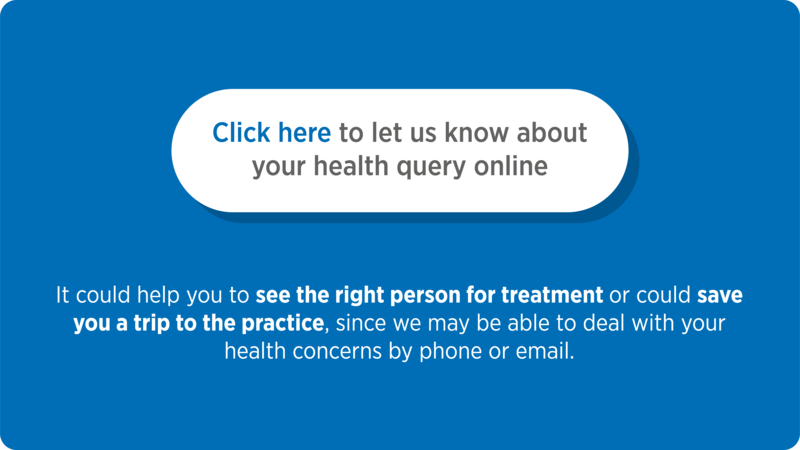 As well as a source of information about our Practice, the staff & the services we provide, we hope you use the website as a useful resource with links to other reliable websites for health related information. If there is topical health information we will also add this to the website. We will endeavour to keep this website up to date with details we feel could be relevant to you. Please browse our website and feel free to provide us with your feedback. We'd particularly appreciate your thoughts on how to improve our online services and further develop the website to make it more useful to you. Our Surgery is looking to be able to offer better and more services to our patients, in order to do this we are looking at new premises. There will be patient and public consultation further down the line in approximately 9 months, but in order for us to look for an appropriate site we would be grateful if you could complete the attached survey. Many thanks. Our nurses are trained to do all they can to put you at ease during your appointment and are on hand to answer any questions or concerns you may have. However, whether you attend your screening or not, is ultimately your choice. If you’re due to have a cervical screening, you’ll receive an invite letter in the post. Don’t ignore it, book your cervical screening here today. If you missed your previous appointment or are unsure if you are due a screening, please contact us and we will book you an appointment if you’re due.